This article is about groups of parties in the European Parliament. For pan-European political parties, see European political party. The political groups of the European Parliament are the parliamentary groups of the European Parliament. The European Parliament is unique among supranational assemblies in that its members (MEPs) organise themselves into ideological groups like in traditional national legislatures. The members of other supranational assemblies form national groups. The political groups of the European Parliament are sometimes the formal representation of a European political party in the Parliament. In other cases, they are political coalitions of a number of European parties, national parties, and independent politicians. These groups are not parties, but looser coalitions. They are strictly forbidden to campaign during the European elections since this is the exclusive responsibility of the Europarties. Each political group is assumed to have a set of core principles, and political groups that cannot demonstrate this may be disbanded (see below). Working together in Groups benefits European political parties: for example, the European Free Alliance (5 MEPs in sixth Parliament) and the European Green Party (37 MEPs in sixth Parliament) have more power by working together in the European Greens–European Free Alliance Group (42 MEPs) than they would have as stand-alone parties, bringing their causes much-needed additional support. Further incentives for co-operating in Groups include financial subsidies from the Parliament and guaranteed seats on committees which are not afforded to Independent MEPs. For a Group to be formally recognised in the Parliament, it must fulfil the conditions laid down in the relevant European Parliament Rule of Procedure. That Rule lays down the minimum criteria a Group must meet to qualify as a Group. Provided those criteria are met, MEPs can theoretically create any Group they like. This was put to the test when MEPs attempted to create a far-right Group called "Identity, Tradition, Sovereignty" (ITS). This generated controversy and there were concerns about public funds going towards a far-right Group. Attempts to block the formation of ITS were unsuccessful, but ITS were blocked from leading positions on committees, a privilege usually afforded to all Groups. These events spurred MEPs, mainly from the largest two groups, to approve a rise in the threshold for groups for the 2009–2014 term to a minimum of 25 MEPs from at least seven states. This was opposed by many MEPs, including the Liberal group, for being detrimental to democracy and the two other smallest groups in Parliament, whilst supporters argued that the change made it harder for the far right to claim EU funds whilst still enabling 2.5% of MEPs to form a group. Groups may be based around a single European political party (e.g. the European People's Party, the Party of European Socialists) or they can include more than one European party as well as national parties and independents (e.g. the Liberal Group). Each Group appoints a leader, referred to as a "president", "co-ordinator" or "chair", who decides which way the Group should vote in Parliament. The chairs of each Group meet in the Conference of Presidents to decide what issues will be dealt with at the plenary session of the European Parliament. Groups can table motions for resolutions and table amendments to reports. This is a summary of the standing of existing European Parliament groups, although these are subject to change. The first sitting of the new parliament was on 1 July 2014. The formation of a new political group, the European Conservatives and Reformists (ECR). This conservative, Eurosceptic group is headed by 26 MEPs from the UK's Conservative Party. The Eurosceptic Independence/Democracy (IND/DEM) and Union for Europe of the Nations (UEN) groups suffered heavy losses in the election. On their own they no longer had enough MEPs to form a separate group. MEPs formerly from these groups formed the Europe of Freedom and Democracy (EFD) group on 1 July 2009. The centre-right European People's Party now formed its own parliamentary group in its entirety, as the former members of the European Democrats left the group to join the ECR. The parliamentary group of the Party of European Socialists renamed itself to the Progressive Alliance of Socialists and Democrats or Socialists and Democrats (S&D) to accommodate the Democratic Party of Italy. The Democratic Party did not become member of the Party of European Socialists until February 2014. The mandate of previous European Parliament ran from 2004 and 2009. It was composed of the following political groups. The Parliament does not form a government in the traditional sense and its politics have developed over consensual rather than adversarial lines. No single group has ever held a majority in Parliament. Historically, the two largest parliamentary formations have been the EPP Group and the PES Group, which are affiliated to their respective European political parties, the European People's Party (EPP) and the Party of European Socialists (PES). These two Groups have dominated the Parliament for much of its life, continuously holding between 50 and 70 percent of the seats together. The PES were the largest single party grouping up to 1999, when they were overtaken by the centre-right EPP. In 1987 the Single European Act came into force and, under the new cooperation procedure, the Parliament needed to obtain large majorities to make the most impact. So the EPP and PES came to an agreement to co-operate in the Parliament. This agreement became known as the "grand coalition" and, aside from a break in the fifth Parliament, it has dominated the Parliament for much of its life, regardless of necessity. The grand coalition is visible in the agreement between the two Groups to divide the five-year term of the President of the European Parliament equally between them, with an EPP president for half the term and a PES president for the other half, regardless of the actual election result. ELDR Group leader Graham Watson MEP denounced the grand coalition and expressed a desire to ensure that the posts of Commission President, Council President, Parliament President and High Representative were not divided based on agreement between the two largest groups to the exclusion of third parties. During the fifth term the ELDR Group were involved in a break in the grand coalition when they entered into an alliance with the European People's Party, to the exclusion of the Party of European Socialists. This was reflected in the Presidency of the Parliament with the terms being shared between the EPP and the ELDR, rather than the EPP and PES as before. However ELDR intervention was not the only cause for a break in the grand coalition. There have been specific occasions where real left-right party politics have emerged, notably the resignation of the Santer Commission. When the initial allegations against the Commission Budget emerged, they were directed primarily against the PES Édith Cresson and Manuel Marín. PES supported the Commission and saw the issue as an attempt by the EPP to discredit their party ahead of the 1999 elections. EPP disagreed. Whilst the Parliament was considering rejecting the Community budget, President Jacques Santer argued that a "No" vote would be tantamount to a vote of no confidence. PES leader Pauline Green MEP attempted a vote of confidence and the EPP put forward counter motions. During this period the two Groups adopted a government-opposition dynamic, with PES supporting the executive and EPP renouncing its previous coalition support and voting it down. The political groups of the European Parliament have been around in one form or another since September 1952 and the first meeting of the Parliament's predecessor, the Common Assembly. The groups are coalitions of MEPs and the European political party and national parties that those MEPs belong to. The groups have coalesced into representations of the dominant schools of European political thought and are the primary actors in the Parliament. Some of the groups (such as the PES and S&D Group) have become homogeneous units coterminous with their European political party, some (such as IND/DEM) have not. But they are still coalitions, not parties in their own right, and do not issue manifestos of their own. It may therefore be difficult to discern how the groups intend to vote without first inspecting the party platforms of their constituent parties, and then with limited certainty. Additionally, national media focus on the MEPs and national parties of their own member state, neglecting the group's activities and poorly understanding their structure or even existence. Transnational media coverage of the groups per se is limited to those organs such as the Parliament itself, or those news media (e.g. EUObserver or theParliament.com) that specialise in the Parliament. These organs cover the groups in detail but with little overarching analysis. So although such organs make it easy to find out how a group acted on a specific vote, they provide little information on the voting patterns of a specific group. The first three Groups were established in the earliest days of the Parliament. They were the "Socialist Group" (which eventually became the S&D group), the "Christian Democrat Group" (later EPP group) and the "Liberals and Allies Group" (later ALDE group). As the Parliament developed, other Groups emerged. Gaullists from France founded the European Democratic Union Group. 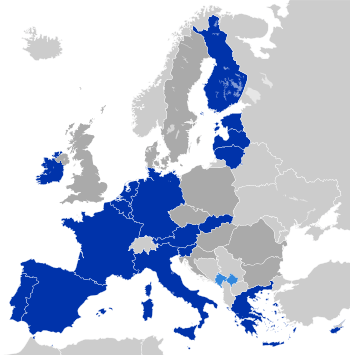 When Conservatives from Denmark and the United Kingdom joined, they created the European Conservatives Group, which (after some name changes) eventually merged with the Group of the European People's Party. The 1979 first direct election established further groups and the establishment of European political parties such as the European People's Party. A full breakdown of Groups by complexion and timeline is given below. In European politics, the centre-right is usually occupied by Christian democrats and conservatives. These two ideological strands have had a tangled relationship in the Parliament. The first Christian Democrat Group was founded in 1953 and stayed with that name for a quarter of a century. Meanwhile, outside the Parliament, local Christian-democratic parties were organising and eventually formed the pan-national political party called the "European People's Party" on 29 April 1976. Since all the Christian-democratic MEPs were members of this pan-European party, the Group's name was changed to indicate this: first to the "Christian-Democratic Group (Group of the European People's Party)" on 14 March 1978, then to "Group of the European People's Party (Christian Democrats)" on 17 July 1979. Meanwhile, on 16 January 1973, the "European Conservative Group" was formed by the British and Danish Conservative parties, which had recently joined the EEC. This group was renamed to the "European Democratic Group" on 17 July 1979. The EPP Group grew during the 1980s, with conservative parties such as New Democracy of Greece and the People's Party of Spain joining the Group. In contrast, the number of MEPs in the European Democratic Group fell over the same period and it eventually merged with the EPP Group on 1 May 1992. This consolidation of the centre-right continued during the 1990s, with MEPs from the Italian centre-right party Forza Italia being admitted into the EPP Group on 15 June 1998, after spending nearly a year (19 July 1994 to 6 July 1995) in their own Group, self-referentially called "Forza Europa", and nearly three years (6 July 1995 to 15 June 1998) in the national-conservative Group called "Union for Europe". But the Conservatives were growing restless and on 20 July 1999 the EPP Group was renamed to the "Group of the European People's Party (Christian Democrats) and European Democrats" (EPP-ED) to identify the Conservative parties within the Group. The Group remained under that name until after the 2009 European elections, when it reverted to the title "Group of the European People's Party (Christian Democrats)" upon the exit of the European Democrats subgroup and the formation of the "European Conservatives and Reformists" group in June 2009. In western Europe, social-democratic parties have been the dominant centre-left force since the dawn of modern European cooperation. The Socialist Group was one of the first Groups to be founded when it was created on 23 June 1953 in the European Parliament's predecessor, the Common Assembly of the European Coal and Steel Community, and continued through the creation of the appointed Parliament in 1958 and the elected Parliament in 1979. Meanwhile, the national parties making up the Group were also organising themselves on a European level outside the Parliament, with the parties creating the "Confederation of Socialist Parties of the European Community" in 1974 and its successor, the "Party of European Socialists", in 1992. As a result, the Group (which had kept its "Socialist Group" name all along) was renamed to the "Group of the Party of European Socialists" on 21 April 1993 and it became difficult to distinguish between the Party of European Socialists party and the parliamentary group. The Group reverted to (approximately) its former name of the "Socialist Group in the European Parliament". on 20 July 2004 Despite all this, the Group was still universally referred to as "PES", notwithstanding the 2009 name change to the "Progressive Alliance of Socialists and Democrats" to accommodate the Democratic Party of Italy. In European politics, liberalism tends to be associated with ideas inspired by classical and economic liberalism, which advocates limited government intervention in society. However, the Liberal Group contains diverse parties, including conservative-liberal, social-liberal and Nordic agrarian parties. It has previously been home to parties such as the minor French Gaullist party Union for the New Republic and the Social Democratic Party of Portugal, which were not explicitly liberal parties, but who were not aligned with either the Socialist or the Christian Democratic Groups. The Liberal Group was founded on 23 June 1953 under the name of the "Group of Liberals and Allies". As the Parliament grew, it changed its name to the "Liberal and Democratic Group" (1976), then to the "Liberal and Democratic Reformist Group" (13 December 1985), then to the "Group of the European Liberal Democrat and Reform Party" (19 July 1994) before settling on its present name of the "Group of the Alliance of Liberals and Democrats for Europe" on 20 July 2004, when the Group was joined by the centrist parties that formed the European Democratic Party. Between 1994 and 1999 there was a separate "European Radical Alliance", which consisted of MEPs of the French Energie Radicale, the Italian Bonino List, and regionalists aligned with the European Free Alliance. Parties from certain European countries have been unwilling to join the centre-right European People's Party group. These parties generally have a national conservative agenda. The first such Group was formed when the French Gaullists split from the Liberal Group on 21 January 1965 and created a new Group called the "European Democratic Union" (not to be confused with the association of conservative and Christian-democratic parties founded in 1978 called the European Democrat Union nor the Conservative Group called the "European Democratic Group" founded in 1979). The Group was renamed on 16 January 1973 to the "Group of European Progressive Democrats" when the Gaullists were joined by the Irish Fianna Fáil and Scottish National Party, and renamed itself again on 24 July 1984 to the "Group of the European Democratic Alliance". The European Democratic Alliance joined with MEPs from Forza Italia to become the "Union for Europe" on 6 July 1995, but it didn't last and the Forza Italia MEPs left on 15 June 1998 to join the EPP, leaving Union for Europe to struggle on until it split on 20 July 1999. The French Rally for the Republic members joined the EPP, but Fianna Fáil and the Portuguese CDS–PP members joined a new group called the "Union for Europe of the Nations". After the 2009 Parliament elections the Union for Europe of Nations was disbanded due to a lack of members, with the remaining members splitting into factions, with some joining with the remaining members of Independence/Democracy to form Europe of Freedom and Democracy, a new Eurosceptic group, and the remaining members joining with the former members of the European Democrat subgroup of the EPP-ED to form the European Conservatives and Reformists. 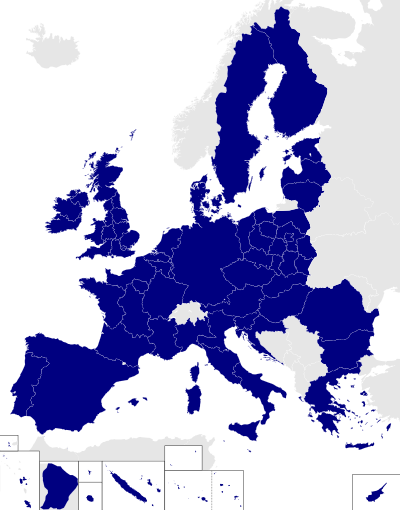 In European politics, there has been a coalition between the greens and the stateless nationalists or regionalists (who also support devolution). In 1984 Greens and regionalists gathered into the "Rainbow Group", a coalition of Greens, regionalists and other parties of the left unaffiliated with any of the international organisations. In 1989 Rainbow split. The Greens went off to form the "Green Group", whilst the regionalists stayed in Rainbow. Rainbow collapsed in 1994 and its members joined the "European Radical Alliance" under the French Energie Radicale. The Greens and regionalists stayed separate until 1999, when they reunited under the "Greens/European Free Alliance" banner. The first communist group in the European Parliament was the "Communist and Allies Group" founded on 16 October 1973. It stayed together until 25 July 1989 when it split into two groups, the "Left Unity" Group with 14 members and the "Group of the European United Left" (EUL) with 28 members. EUL collapsed in January 1993 after the Italian Communist Party became the Democratic Party of the Left and its MEPs joined the PES Group, leaving Left Unity as the only leftist group before the 1994 elections. The name was resurrected immediately after the elections when the "Confederal Group of the European United Left" was formed on 19 July 1994. On 6 January 1995, when parties from Sweden and Finland joined, the Group was further renamed to the "Confederal Group of the European United Left–Nordic Green Left" and it has stayed that way to the present. In European politics, a grouping of nationalist has thus far found it difficult to cohere in a continuous Group. The first nationalist Group was founded by the French National Front and the Italian Social Movement in 1984 under the name of the "Group of the European Right", and it lasted until 1989. Its successor, the "Technical Group of the European Right", existed from 1989 to 1994. There was then a gap of thirteen years until "Identity, Tradition, Sovereignty" was founded on 15 January 2007, which lasted for nearly eleven months until it fell apart on 14 November 2007 due to in-fighting. A new radical right group was formed during the 8th parliament on 16 June 2015 under the name "Europe of Nations and Freedom". The school of political thought that states that the competences of the European Union should be reduced or prevented from expanding further, is represented in the European Parliament by the eurosceptics. The first Eurosceptic group in the European Parliament was founded on 19 July 1994. It was called the "European Nations Group" and it lasted until 10 November 1996. Its successor was the "Group of Independents for a Europe of Nations", founded on 20 December 1996. Following the 1999 European elections, the Group was reorganised into the "Group for a Europe of Democracies and Diversities" on 20 July 1999, and similarly reorganised after the 2004 election into the "Independence/Democracy Group" on 20 July 2004. The group's leaders were Nigel Farage (UKIP) and Kathy Sinnott (Independent, Ireland). After the 2009 European elections a significant proportion of the IND/DEM members joined the "Europe of Freedom and Democracy", which included parties formerly part of the Union for a Europe of Nations. The EFD group's leaders were Farage and Francesco Speroni of the Lega Nord (Italy). With significant changes in membership after the 2014 European elections, the group was re-formed as "Europe of Freedom and Direct Democracy", led by Farage and David Borrelli (Five Star Movement, Italy). A Group is assumed to have a set of core principles ("affinities" or "complexion") to which the full members are expected to adhere. This throws up an anomaly: Groups get money and seats on Committees which Independent members do not get, but the total amount of Independent members may be greater than the members of the smaller Groups. In 1979, MEPs got round this by forming a technical group (formally called the "Group for the Technical Coordination and Defence of Independent Groups and Members", or "CDI" for short) as a coalition of parties ranging from centre-left to far-left, which were not aligned with any of the major international organizations. CDI lasted until 1984. On 20 July 1999, another technical group was formed, (formally called the "Technical Group of Independent Members – mixed group" or "TGI" for short). Since it contained far-right MEPs and centre-left MEPs, it could not possibly be depicted as having a common outlook. The Committee on Constitutional Affairs ruled that TGI did not have a coherent political complexion, Parliament upheld (412 to 56 with 36 abstentions) the ruling, and TGI was thus disbanded on 13 September 1999, the first Group to be forcibly dissolved. However, the ruling was appealed to the European Court of First Instance and the Group was temporarily resurrected on 1 December 1999 until the Court came to a decision. On 3 October 2001, president Fontaine announced that the Court of First Instance had declared against the appeal and that the disbandment was back in effect from 2 October 2001, the date of the declaration. TGI appeared on the list of Political Groups in the European Parliament for the last time on 4 October 2001. Since then the requirement that Groups have a coherent political complexion has been enforced (as ITS later found out), and "mixed" Groups are not expected to appear again. Independent MEPs that are not in a Group are categorised as "Non-Inscrits" (the French term is universally used, even in English translations). This non-Group has no Group privileges or funding, and is included here solely for completeness. 1 2 Hines, Eric (2003). "The European Parliament and the Europeanization of Green Parties" (PDF). University of Iowa. Archived from the original (PDF) on 28 May 2008. Retrieved 2008-03-01. 1 2 Brunwasser, Matthew (14 January 2007). "Bulgaria and Romania bolster far right profile in EU Parliament". International Herald Tribune. Retrieved 2007-07-07. ↑ "Rules of Procedure of the European Parliament - July 2009 - Rule 30 - Formation of political groups". Retrieved 27 May 2016. ↑ "Rules of Procedure of the European Parliament - March 2009 - Rule 29 - Formation of political groups". Retrieved 27 May 2016. ↑ "Far-Right Wing Group Sidelined in European Parliament". Deutsche Welle. 2 February 2007. Retrieved 2007-07-07. ↑ Mahony, Honor (9 July 2008). "New rules to make it harder for MEPs to form political groups". International Herald Tribune. Retrieved 2008-07-10. ↑ "Party Politics in the EU" (PDF). civitas.org.uk. Retrieved 2007-06-12. ↑ "BBC NEWS - UK - UK Politics - Conservative MEPs form new group". Retrieved 27 May 2016. ↑ Donatella M. Viola (2015). "Italy". In Donatella M. Viola. Routledge Handbook of European Elections. Routledge. p. 134. ISBN 978-1-317-50363-7. 1 2 Settembri, Pierpaolo (2 February 2007). "Is the European Parliament competitive or consensual ... "and why bother"?" (PDF). Federal Trust. Retrieved 2007-10-07. ↑ Kreppel, Amie (2002). "The European Parliament and Supranational Party System" (PDF). Cambridge University Press. Retrieved 2007-06-12. ↑ "EPP-ED Chronology – 1991–2000". EPP-ED Group website. Retrieved 2007-11-07. ↑ "EPP-ED Chronology – 1981–1990". EPP-ED Group website. Retrieved 2007-11-07. 1 2 "Interview: Graham Watson, leader of group of Liberal Democrat MEPs". Euractiv. 15 June 2004. Retrieved 2007-11-01. ↑ "Speech by G. Watson to the ELDR Congress in Berlin". ELDR website. 26 October 2007. Retrieved 2007-12-01. ↑ "European Parliament elects new president". BBC News. 20 July 1999. Retrieved 2007-11-01. ↑ Bowley, Graham (26 October 2004). "Socialists vow to oppose incoming team: Barroso optimistic on commission vote". International Herald Tribune. Retrieved 2007-11-23. ↑ Bowley, Graham (17 November 2004). "SEU Parliament likely to accept commission: Barroso set to win with new team". International Herald Tribune. Retrieved 2007-11-23. ↑ "Professor Farrell: "The EP is now one of the most powerful legislatures in the world"". European Parliament. 18 June 2007. Retrieved 2007-07-05. 1 2 3 4 5 6 7 8 9 10 "Groupe des Démocrates Européens DE". Retrieved 27 May 2016. 1 2 3 4 5 6 7 8 9 10 11 12 13 14 15 16 17 "Groupe du Parti Populaire Européen (Démocrates-Chrétiens) et des Démocrates Européens PPE-DE". Retrieved 27 May 2016. 1 2 3 4 5 6 7 8 9 10 11 12 13 14 15 16 17 18 19 20 21 22 23 24 25 26 27 28 29 30 31 32 33 34 35 36 Political Groups of the European Parliament Archived 17 May 2011 at the Wayback Machine. 1 2 3 4 5 6 "Directory - MEPs - European Parliament". Retrieved 27 May 2016. 1 2 3 4 5 6 7 8 9 10 11 12 "INFO". Retrieved 27 May 2016. 1 2 3 4 "Directory - MEPs - European Parliament". Retrieved 27 May 2016. 1 2 3 4 5 6 7 8 9 10 11 12 13 14 15 16 17 18 19 20 21 22 23 24 25 26 27 28 "La droite de la droite au Parlement européen". Retrieved 27 May 2016. 1 2 3 4 5 6 7 8 9 10 11 12 13 14 15 16 "Annual Accounts of Political Groups". Retrieved 27 May 2016. 1 2 "Background information : 15-11-96". Retrieved 27 May 2016. 1 2 "Directory - MEPs - European Parliament". Retrieved 27 May 2016. 1 2 3 4 5 6 7 8 9 "Groupe socialiste au Parlement européen". Retrieved 27 May 2016. 1 2 3 4 5 6 "IISH - Archives". Retrieved 27 May 2016. 1 2 3 "Party of European Socialists". Party of European Socialists. Retrieved 27 May 2016. ↑ European socialists change name to accommodate Italian lawmakers. Monsters and Critics (2009-06-23). Retrieved on 2016-01-22. 1 2 3 4 5 6 7 8 9 10 11 12 13 14 15 16 17 18 19 20 21 22 23 24 25 26 27 "Alliance des Démocrates et des Libéraux pour l'Europe ADLE". Retrieved 27 May 2016. 1 2 3 "Directory - MEPs - European Parliament". Retrieved 27 May 2016. 1 2 3 4 5 6 7 8 9 10 11 12 13 14 15 16 17 "Groupe Arc-en-Ciel". Retrieved 27 May 2016. 1 2 3 "Types of international organization: detailed overview". Retrieved 27 May 2016. 1 2 Lane, Jan-Erik; David McKay; Kenneth Newton (1997). Political Data Handbook: OECD Countries. Oxford University Press. p. 191. ISBN 0-19-828053-X. 1 2 "Groupe Union pour l'Europe des Nations UEN". Retrieved 27 May 2016. 1 2 3 4 5 6 7 8 9 10 11 12 13 14 15 16 17 "Groupe confédéral de la Gauche Unitaire Européenne-Gauche Verte Nordique GUE-GVN". Retrieved 27 May 2016. 1 2 3 4 "European Union: Power and Policy-Making" second edition, ISBN 0-415-22164-1 Published 2001 by Routledge, edited by Jeremy John Richardson, Chapter 6 "Parliaments and policy-making in the European Union", esp. page 125, "Table 6.2 Party Groups in the European Parliament, 1979–2000"
1 2 3 4 5 6 7 8 9 "BBC NEWS - Europe - Who's who in EU's new far-right group". Retrieved 27 May 2016. 1 2 3 4 "European Consortium for Political Research" (PDF). Retrieved 27 May 2016. 1 2 3 4 5 "European Parliament press releases". European Parliament. Retrieved 27 May 2016. 1 2 3 "European Parliament press releases". European Parliament. Retrieved 27 May 2016. ↑ Janet Laible (2008). Separatism and Sovereignty in the New Europe. Palgrave Macmillan. p. 215. ISBN 978-0-230-61700-1. ↑ "Far-right parties form group in EU parliament". Retrieved 27 May 2016. ↑ "France's National Front says forms group in European Parliament". Retrieved 27 May 2016. 1 2 3 4 5 6 7 "Directory - MEPs - European Parliament". Retrieved 27 May 2016. 1 2 "Marine LE PEN". Retrieved 27 May 2016. ↑ "Far right MEPs form EU parliamentary group". Retrieved 27 May 2016. 1 2 3 4 5 6 7 8 9 10 11 12 13 14 15 "Groupe Indépendance-Démocratie ID". Retrieved 27 May 2016. 1 2 3 4 "BBC News - Europe - European parties and groups". Retrieved 27 May 2016. 1 2 3 4 5 "Directory - MEPs - European Parliament". Retrieved 27 May 2016. 1 2 3 4 5 6 "The Week : 20-07-99(s)". Retrieved 27 May 2016. 1 2 "News report : 28-07-99". Retrieved 27 May 2016. 1 2 3 4 5 "Daily Notebook: 14-09-99(1)". Retrieved 27 May 2016. 1 2 3 "Daily Notebook: 01-12-99(2)". Retrieved 27 May 2016. 1 2 "Daily Notebook - 03-10-2001". Retrieved 27 May 2016. 1 2 "Debates - Wednesday, 3 October 2001 - Announcement by the President". Retrieved 27 May 2016. 1 2 3 "Daily Notebook - 04-10-2001". Retrieved 27 May 2016. Josep M. Colomer. "How Political Parties, Rather than Member-States, Are Building the European Union" (proof copy), (via Google Books) in Widening the European Union: The Politics of Institutional Change, ed. Bernard Steunenberg. London: Routledge, 2002, ISBN 0-415-26835-4.